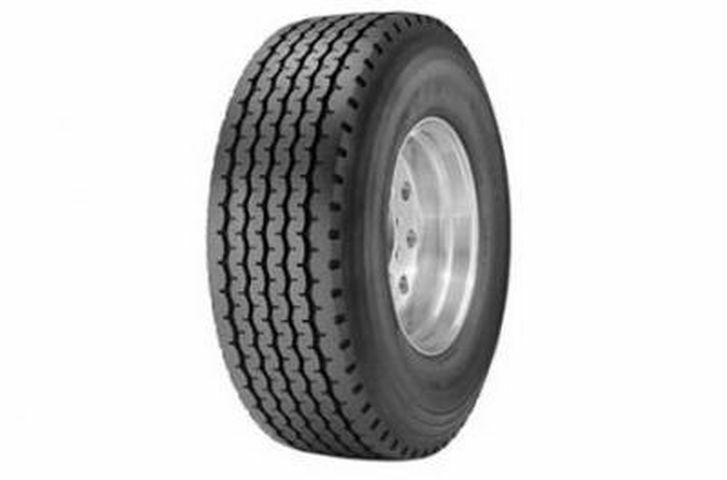 The Kumho 983 tires are engineered for the trailer and steer positions. They combine durability with superb traction. On wet surfaces, their grooves channel water away from the contact patch to reduce the risk of hydroplaning. The groove shape also minimizes wear while the optimized footprint reduces rolling resistance and improves handling. Extra heavy undertread construction combines with high strength ply wire that resists flex and fatigue to prolong casing life. 385/65R-22.5 N/A 9,370 lbs 120 psi 20/32nds 12" 15" N/A 42"
Purchase includes the Kumho 983 tire only. The wheel rim shown in the picture is not included. Picture provided is a stock picture from the manufacturer and may or may not reflect the actual product being ordered. All Kumho 983 tires are continuously developing with manufactured improvements. With that said, Simple Tire and the manufacturers have the right to change these tire specifications at any time without notice or obligation. Please Note: Specifications of the Kumho 983 tires shown above are listed to be as accurate as possible based on the information provided to us by Kumho tires. Handles very well when i change from concrete to grass or mud. Strong casing, and it's tough exterior is built for rough terrains. This is a very well built tire.